Those who are working from the past couple of months in freelancer.com, you may follow that, freelancer community have changed some rules and regulations for the improvement of relationship and trust between buyer and providers. In the past history show that, many buyers and providers cheated by one another. A few days ago, providers face a problem. As for example; after awarding a project, buyers give instruction to work as their direction. It seems that 70 percent of new freelancers get cheated. When the new freelancers win a project, they have an excitement that how to complete the work quickly. For this reason, without any discussion about the payment, they started the work. If the buyer is fraud, then your work will waste. But all buyers are not same. But remember one thing; take milestone payment before starting of work. But if the buyers are from our own country, then it can be negotiable. Now a day, freelancer has developed many things. 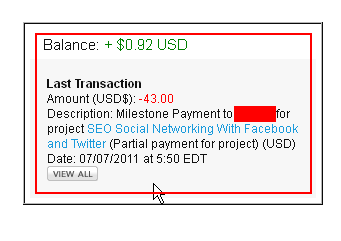 One of the important things is when a buyer posts a project then $5 will be deduced from his account. After that, when you will award the project, an additional $2 will be deduced. Now you must be leaving of thinking to be a buyer. Don’t worry because you will get refund of $5. Now have a look on how you will get this refund. According to past law, after awarding a project, he will get $3 refund instantly. But according to present law, he will not get it instantly. After the competition of the work, you will release a milestone payment and after full completion of payment you will get $5 automatically. If the buyer cheats with you, he will not get $5 anymore. From this, you will get some sort of security. Read this post carefully as a buyer. So you will understand everything. 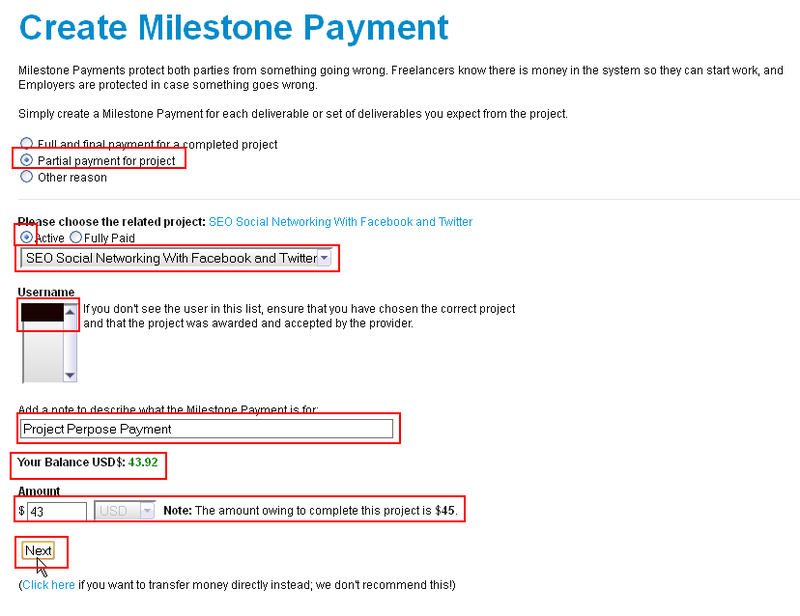 So let’s see how you will give milestone payment to your provider and after work how you will release it. Here is the tutorial. 1. After logging in to freelancer account go to ‘Payments’ and click on ‘New Milestone Payment’. 2. Then select the radio buttons like the image below in the “Partial payment for project” chose the related project and select Active radio button. Select the Username of project provider whom you want to give this payment. At the next blank space give the issue of the payment. Then put the Amount of dollar as payment and click NEXT. 3. In this page, you have to confirm. You will get all things like the image below. After check in Confirmation box again click in the ‘Create Milestone Payment’. 4. 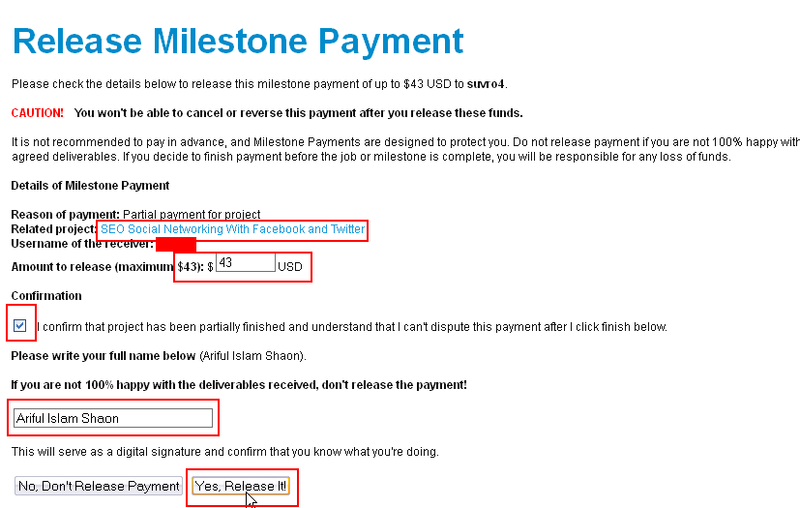 After successfully creation of the milestone payment you will get the image like below. Now come on the topics that what is milestone? 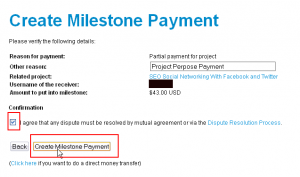 Milestone payment can be defined as the amount of money (dollar) that is hanged into your freelancer account as a guarantee of receiving payment after finishing the work. That not means you can’t either watch or spend this money. 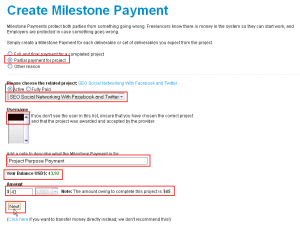 After the completion of the project when you give a request to your buyer about the milestone, you will get the dollar in your account. 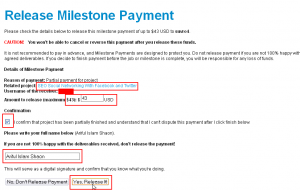 For each type of payment, you will get confirmation messages in mail. Now let’s see how you will give the dollar to your provider. 1. During logged in your freelancer account, go to payments. 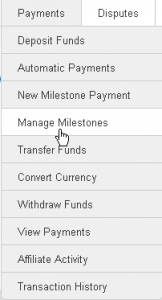 Here click on ‘Manage milestone payments’. 2. 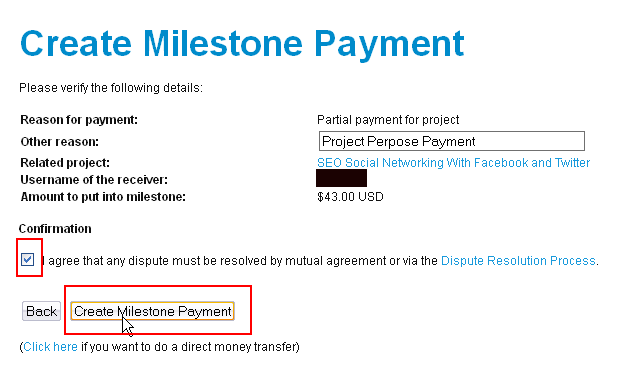 Now select Release part of full payment from take action as the image showing below. 3. Now, the page will automatically redirect and will appear a new page like the image below. Now click on Confirmation check box and put your name signed in the freelancer profile. Then select ‘Yes, release it’. 4. 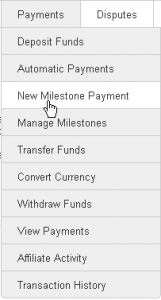 If your milestone payment releases successfully then you will get the message like below. 5. Now check the account balance of your freelancer account. That’s all. The work of creating and releasing freelancer milestones are finished here. If you have any problem with this tutorial asks me in comment. The next episodes will come shortly. Be well and take care all.